Situated only two and a half hours north of Sydney, Port Stephens is a spectacular region dominated by a huge natural harbour fringed by beautiful beaches. The region boasts huge photographic potential with opportunities around every corner. From rugged coastal beaches to tranquil inlets and bays, spectacular viewpoints and expansive landscapes. 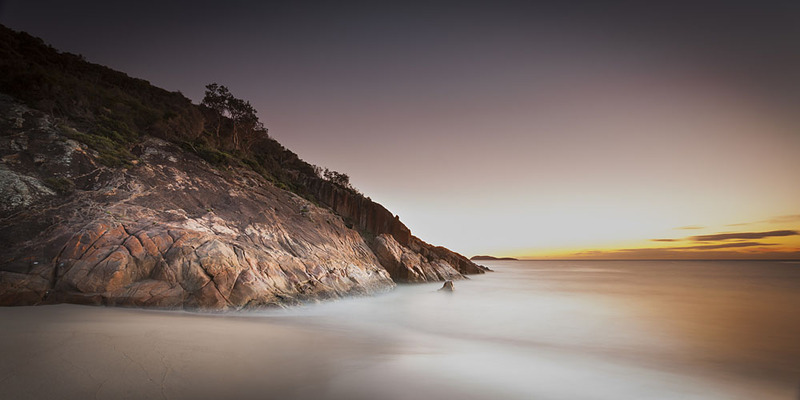 For perfect pictures of Port Stephens head up to Mount Tomaree lookout. I believe this has to one of the most stunning viewpoints in the whole of Australia with views stretching from Stockton Sands in the south up to the Myall Lakes region in the north. The 120 metre ascent can be a tough climb, but all your efforts will be rewarded with spectacular 360 degree views of the area. The views from Mount Tomaree are spectacular. The is a great place to start your visit and get some great pictures of Port Stephens. This panoramic photograph takes in Shark Island at the left with Zenith and Box beach holding the middle ground with Shoal Bay on the right. During periods of low tide it’s possible to walk over to Shark Island to visit and photograph Port Stephens lighthouse via a narrow exposed sand spit at Fingal Bay. Just remember, getting caught out by the tide could mean you’re in for a long day or night on the island! Stockton Sands comprises of a 32 km stretch of dunes that run from Newcastle in the south to Anna Bay in the north. Formed over thousands of years, the dunes form the largest continuous mobile coastal sand mass in the Southern Hemisphere. The essence of good landscape photography is the use of light. Here I’ve used the cool pre-dawn glow to capture the beautiful pastel colours in this picture of Stockton Sands. An early morning start and a whisper quite morning can be the recipe for great landscape photography. There are some situations where light isn’t part of the equation (light from our Solar System anyway). Shooting late into the evening I captured this 180 degree panorama of the Milky Way. Although when you’re on the dunes at Stockton it can feel like you’re a million miles away from anywhere you don’t have to look to hard to notice the lights of Newcastle glowing in the distance. Towards the southern of the dunes lie the remains of the wreck of the MV Sygna a 53,000 tonne Norwegian bulk carrier. 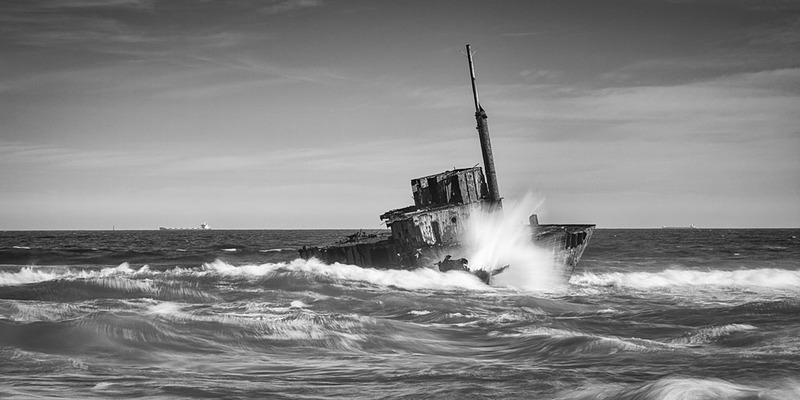 The Sygna was on its maiden voyage, when ran aground during a major storm in 1974. As you can see by this image, there’s not much left of the 217m long bulk carrier. For more information on the Sygna, I can recommend the Wiki article; Wreck of the MV Sygna. The Port Stephens region boasts may fine beaches, here are a few of my favourites. 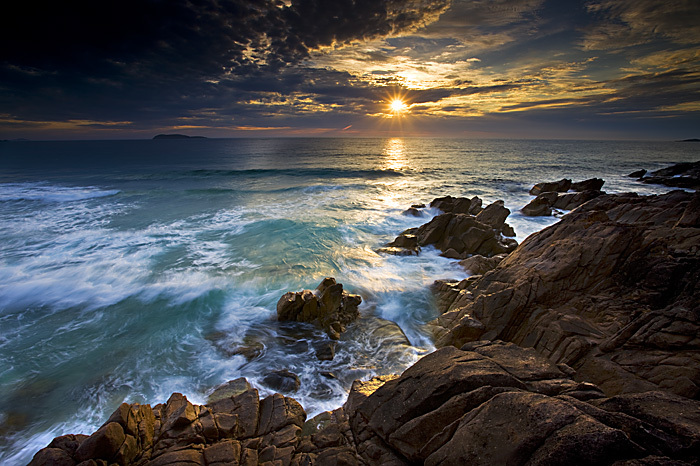 The coastal beaches of Zenith and Box Beach show off the more rugged side of my pictures of Port Stephens. Waves crashing against the jagged coastal rocks are a perfect way to illustrate the beauty of this coastline. Box Beach Twilight – getting creative with a long time exposure. The more artistic look I’ve created here is a result of a long exposure which has smoothed out the waves creating a completely different look and feel. The more sheltered harbour side of Port Stephens offers a totally different outlook. The tranquil shores and white sand of Shoal Bay show off the area as one of the region’s top tourist spots, images your likely to see in many of the tourist brochures serving the area. Here I’ve used the early morning light to grab a different perspective of Shoal Bay only seen by the odd photographer and early risers. One Mile beach and Samurai beach at Anna Bay are a great place to stretch the legs. And if you feeling brave, the nudist beach at Samurai is a great place to let it all hang out. Exploring the harbour of Port Stephens will lead you to many sheltered bays, beaches and eventually to the busy harbour town of Nelson Bay. To get a good viewpoint over the town and surrounding district go to the Gan Gan Road lookout (another great lookout for pictures of Port Stephens). This time the road will take you right up to the lookout, so no tough walks to worry about. There’s only one more thing to do on a visit to the region, stroll around the harbour, check out all the boats you can’t afford, sit down a watch the world go by and finally lunch on a big plate of fish and chips, enjoy! All of my pictures of Port Stephens are available to buy as high quality photographic prints or on Canvas, I also have many framing options available. 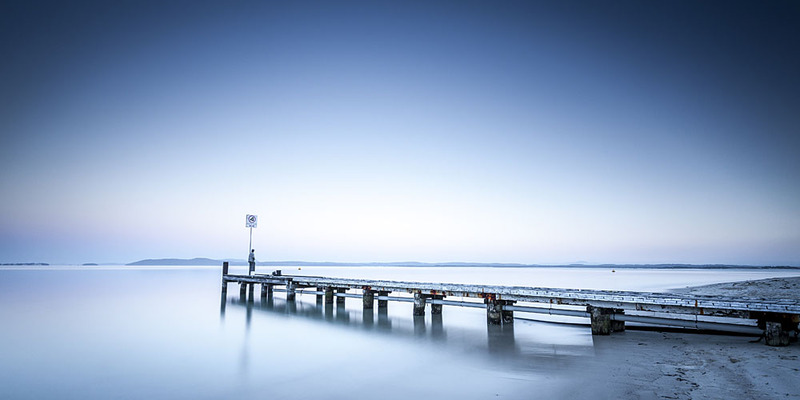 See Pictures of Port Stephens for print and framing options. For enquires about image licensing and corporate purchases of my pictures of Port Stephens call Richard on 0410191288.